projects expand students’ knowledge, BUT there is more valuable learning taking placE. 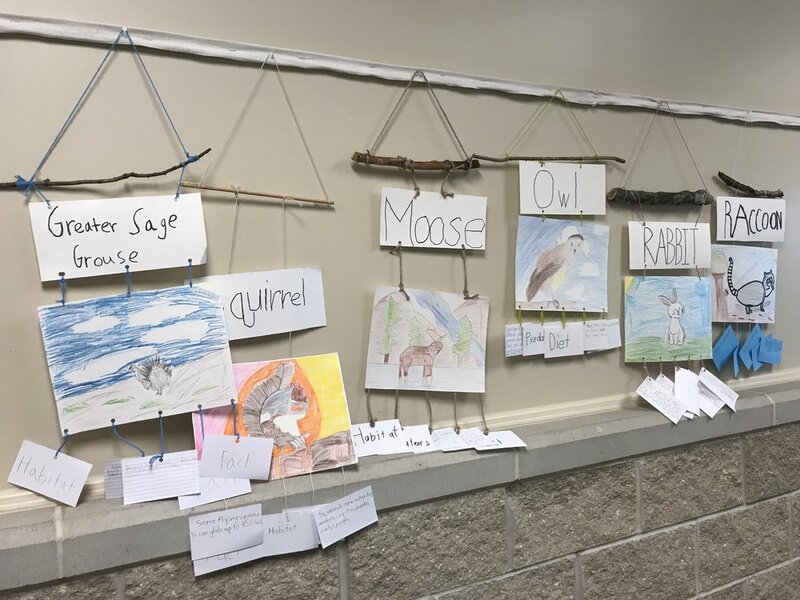 Our second grade hallway is filled with students’ first project of the school year. This project is one of many that they will tackle throughout their tenure at Perimeter School. From the animal project, to the armor of God, to the insect model, to the human body, to the science project, projects are an integral part of our curriculum. Some may ask, “Why so many projects? What is the purpose?” Of course, the known answer is that projects expand students’ knowledge of the subject matter being taught, but there is much more valuable learning taking place. When looking at the various projects that are assigned here at Perimeter School, it is important to understand the underlying skills that are being developed throughout the process of completing the project. For instance, learning to follow step-by-step directions is a specific target built into the scope of projects in the earlier grades. Other projects may have detailed objectives but also allow student to express themselves in a creative way. The science project in seventh grade is a valuable tool not only to teach the scientific method but also perseverance, time management, and oral presentation skills, and it is fascinating to see how students are challenged spiritually and creatively with the “What is in a Name?” cross project. School projects can give the gifted child the opportunity to dive deeper and challenge themselves in an academic area while also allowing the student that struggles with written tests to reveal the acquired knowledge in a hands-on, creative way. As you know, school projects are not just assignments for the student. It is an opportunity for you, the parent, to come alongside your student and teach and refine his or her skills. It is a time that you can be intentional as you coach and give advice. You do not complete the project. You guide and teach in a one-on-one environment that cannot be simulated in a school setting. It gives you the opportunity to hone in on areas that you may see needs strengthening in your child. As the primary educator, a project-based learning activity at home gives you a wonderful opportunity to build relevant skills and habits for future day-to-day living because real, adult life is filled with one project after another. 1. Your child not only is expanding his or her knowledge of a particular topic but also is developing and learning how to research, manage time, persevere, be creative, critically think, follow directions, and more! 2. He or she needs you as a coach, but you are not the player. 3. Projects give you and your child the opportunity for meaningful conversation and time together. 4. Your child is building skills that he or she will apply and build on in the future, both as a student and as an adult.